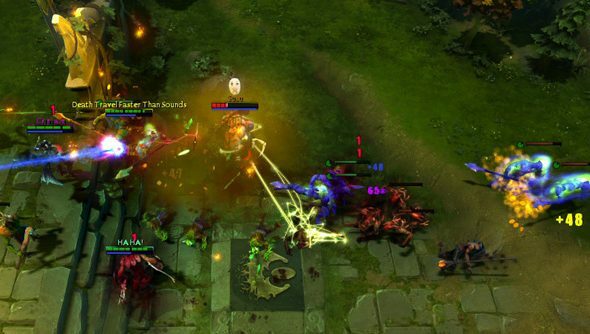 Dota 2 players have petitioned Valve to add another optional announcer pack to their MOBA. They’d like the voice of Snoop Lion (formerly Snoop Dogg, formerly Calvin Cordozar Broadus, Jr) to sit alongside that of System Shock 2’s SHODAN and Stanley Parable’s Narrator on the loadout screen. Among the 1,700 fans on board with the idea is Snoop to the dee-oh-double-gee himself. The Change.org petition makes a reasoned argument for the new pack’s inclusion along demographical lines. At time of writing, 1,764 Dota players have signed an open letter addressed to Valve and Snoop, to say that a collaborative announcer pack would “really benefit the game”. Progress is already good. The Californian king of gangster rap popped in on Reddit in person to let the petitioners know that he’s sold on the idea. Would you like to see Valve correct the, ah, chronic lack of z-speak in Dota 2?